As the SEGA Saturn’s 20th anniversary nears, and Saturn Month heads into day two, the SEGAbits team looks back to the first time we experienced the console. For this week’s round table, we’re joined by George and Barry, as well as three content creators from the SEGAbits YouTube channel – A.J. of My Life with SEGA, Liam aka TrackerTD of This is Saturn, and our newest member Adam aka Gunstar who will be producing a new series set to premiere soon. After the break, read how we were first introduced to the Saturn! As much as I love the SEGA Saturn – as I’ve said many-a-time, it’s my favorite gaming console – my first experience wasn’t anything to write home about. 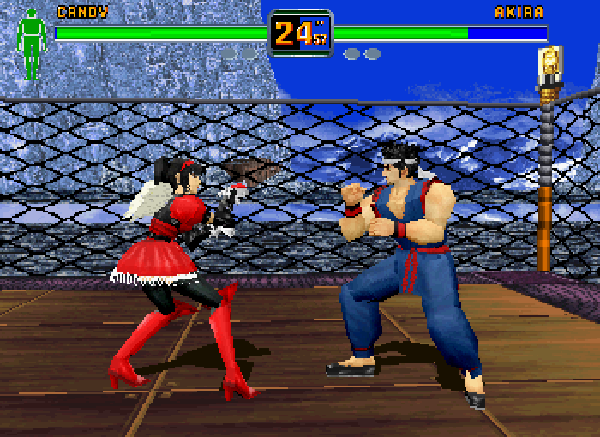 It was shortly after it launched and Toys “R” Us had set up a kiosk running Virtua Fighter. At the time I thought it was incredible. Felt like the arcade was at my fingertips. It was kinda’ heartbreaking at the time, knowing I couldn’t afford that gorgeous machine. Watching all the arcade ports like Die Hard Arcade and The House of the Dead pass me by, gawking at beauties like Panzer Dragoon and NiGHTS. However, that all changed when SEGA discontinued the Saturn. I ran right down to that very same Toys “R” Us and I bought a brand-spanking new Model 2 with three pack-in games (Virtua Fighter 2, Virtua Cop and Daytona USA) for the ridiculously low price of $30. Now that was an experience. It was the first SEGA console I had bought for myself and I was enjoying every minute. Once I started importing there was no going back. The Saturn had become the love of my gaming life. I wish I had the memory to recall the exact time that I first played the SEGA Saturn, but my memory isn’t that great. I do remember that it was at a kiosk at a Montgomery Wards (which is now closed) that had a demo of NiGHTS playing. Every time I would go to the store, it would have kids playing on it, thankfully for me, my mother was a shopaholic and one day we went in during a school day and the Saturn was completely empty. I hopped right on it and to my dismay it was on some space ship menu, which if you have played a SEGA Saturn you’d know that its the main menu for the console. At this time, I grew up playing NES, SEGA Master System, Turbografx 16, Super Nintendo, and of course the SEGA Genesis. The closest thing to having a menu like the Saturn was the Master System’s game selection without a cartridge, but this was taken to an all new level. I remember sitting there playing with the menu, watching the ship fly and thinking about how impressive the 3D effects where. A few minutes (which to me at the time seemed like a lifetime) a clerk came up to me and asked me if I wanted to play the console, that is the first time I played NiGHTS and I couldn’t believe the colorful and beautiful graphics the game displayed. Of course I couldn’t stop talking about how much I wanted a SEGA Saturn for Christmas. Sadly, a SEGA Saturn wasn’t in my future for that Christmas, as my younger brother wanted a Playstation and since that unit was cheaper it was what we got. The story of me getting a SEGA Saturn is actually a series of long trades. I bought these really nice rollerblades from a yard sale for a few bucks, it was at the time that everyone wanted to rollerblade and be like the characters from Disney’s Mighty Ducks franchise and so I gave into the hype and got myself some blades. Being a child that is scared of being hurt, I hardly used them and a chance came for me to trade them for a Nintendo 64 to a kid that lived near me. I took it, but never really liked the N64 aside from a few games. The N64 just wasn’t for me. I only knew one guy in my town that had a SEGA Saturn, so I got into contact with him at school and proposed a trade for his SEGA Saturn with 12 games for my Nintendo 64 with 8 games. He bit and I was a proud owner of a beautiful Model 2 SEGA Saturn that I still own. I mostly got the console for Virtua series games and 2D fighters which the Saturn had plenty of. 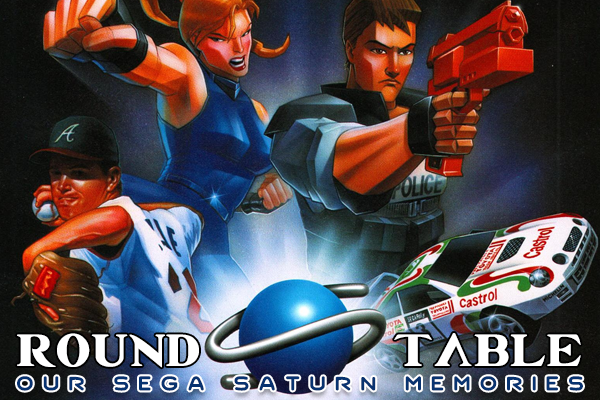 The Saturn was the first console I imported for and it brought me a bunch of great memories. Happy 20th Anniversary! I wasn’t born when the Saturn was released, so my first experience with a Saturn was only 2 years ago, 7th September 2012. A month or so earlier, I’d been to France on holiday with family, and we happened across a game store where I picked up Fighters Megamix: yes, before I even had a Saturn. Ever since I was young, I wondered about the SEGA Saturn. Sonic Mega Collection had a History of Sonic movie, and by far the game shown that interested me the most was Sonic Jam. 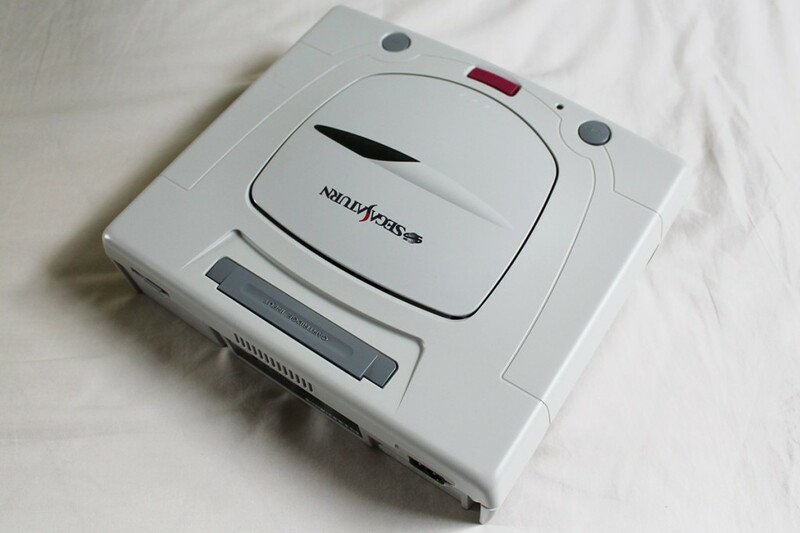 However, the Saturn seemed to be a console everyone forgot about in favour of stuff like the Mega Drive and Dreamcast; and so my curiosity was piqued. Fighters Megamix pushed me over the edge, and I grabbed a Saturn off eBay for a fair bit with a few games like Exhumed and SEGA Rally. I also picked up Daytona USA for 50p! Playing Fighters Megamix for the first time was great: just having the Saturn felt like I’d opened a door to a whole wealth of gaming I’d completely glossed over previously. It’s surprising considering I’m a huge Sonic fan: given Sonic got shafted on Saturn you’d expect I wouldn’t care much for it, but the exact opposite became true. As I started properly collecting for Saturn, I was having a blast. I love SEGA AM2’s arcade games, and so seeing as half of them got ported to Saturn, it seemed a perfect fit for me. And my collecting only sped up when I was approached by this very site to produce a video series: a series which took on the form of This is Saturn. Now, I have two SEGA Saturns (PAL Model 2 and a Japanese Model 1 picked up earlier this year), an ever expanding library of games, and I curate a series that I hope brings enjoyment to people all about this sleek 32-Bit system. It has easily become my favourite SEGA console! Well, my first experience I can remember when I was young and still had my Sega Genesis, not having upgraded to the next generation of hardware yet. I was a frequenter of Blockbuster at the time, and they had a demo unit during Christmas of 1996 with Christmas NiGHTS. At the time, I hadn’t really seen the N64 yet, so I was blown away playing NiGHTS, how vibrant and pretty it was. Using an analog stick for the first time also blew my mind, and it felt so natural flying around the Christmas-themed Spring Valley. It was incredible. Sadly, that was about all of what I would play of the Saturn of the time, as I basically missed that entire generation, and ended up with a Dreamcast for Christmas of ’99. It wouldn’t be until I started really collecting as an adult that I really got a chance to play the Saturn in earnest. The first game I bought and played on it was Burning Rangers, in case you were wondering! 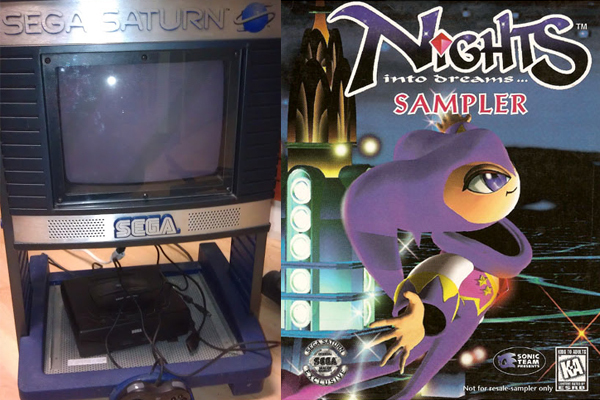 I distinctly remember first playing a SEGA Saturn in the Fall of 1996, when the Sears department store at Minnesota’s Mall of America had a tabletop demo kiosk featuring NiGHTS into Dreams on display. Unlike today where it is incredibly easy to keep up on gaming news, in the mid-90s if I didn’t read gaming magazines, I was completely out of the loop on video games, and at the time the only magazines I read were Zoobooks. I did, however, read Archie’s Sonic the Hedgehog comic books, which contained SEGA Saturn ads and the occasional easter egg from Archie artist Patrick Spaziante, who liked slipping in Saturn logos and characters like Astal and the Virtua Fighter cast. So when I took that Saturn 3D pad in my hands for the first time, I was aware of what the Saturn and NiGHTS were, but I was in no way prepared for how jaw-dropping 3D games were at the time. While I undoubtably controlled NiGHTS completely wrong, and got a game over within a minute, the music and graphics of that one game were just about enough to sell me on a Saturn. Unfortunately, a Saturn wasn’t in the cards for the Christmas of 1996, and the following year the popularity of the console began to fade and rumors of a new console began. I was also content with my SEGA Genesis, which had kept me busy since 1991. Proof that SEGA’s 16-bit machine had more life in it than SEGA of Japan believed (for the story on that, check out the book “Console Wars”). 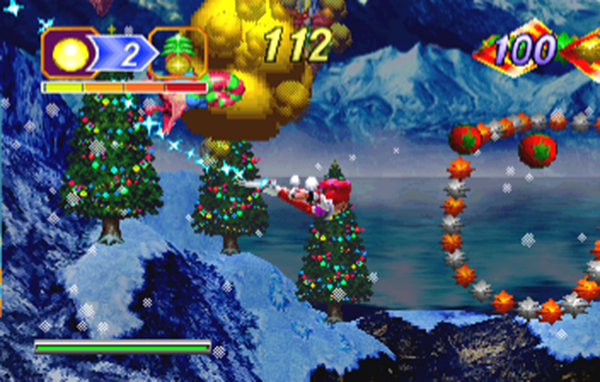 Christmas of 1999 I received a Dreamcast, and with my leftover cash I bought a Saturn at a local used game shop along with the entire AM2 fighter library and NiGHTS into Dreams. While I didn’t experience SEGA’s Saturn fully until four years after launch, holiday 1999 was a helluva lot of fun playing two of SEGA’s greatest consoles. My very first experience with the SEGA Saturn was at my uncle’s house. 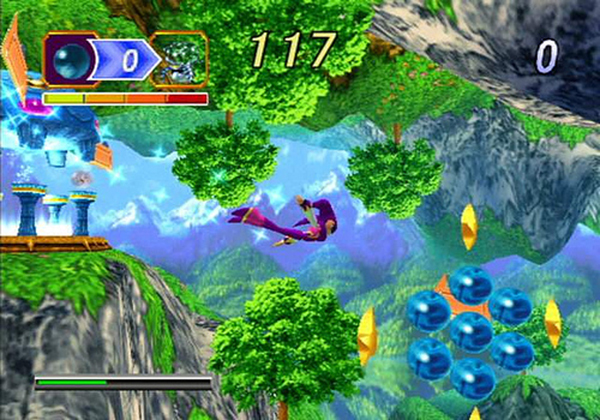 I was exposed to SEGA’s biggest titles on the console which included Virtua Fighter 2, Virtua Cop, NiGHTS into Dreams and Sonic R. After a short while, my uncle no longer allowed my cousins and I to play the Saturn, thinking that we would break it. During that short period of time playing the games, I fell for their 3D polygon graphics and animation. 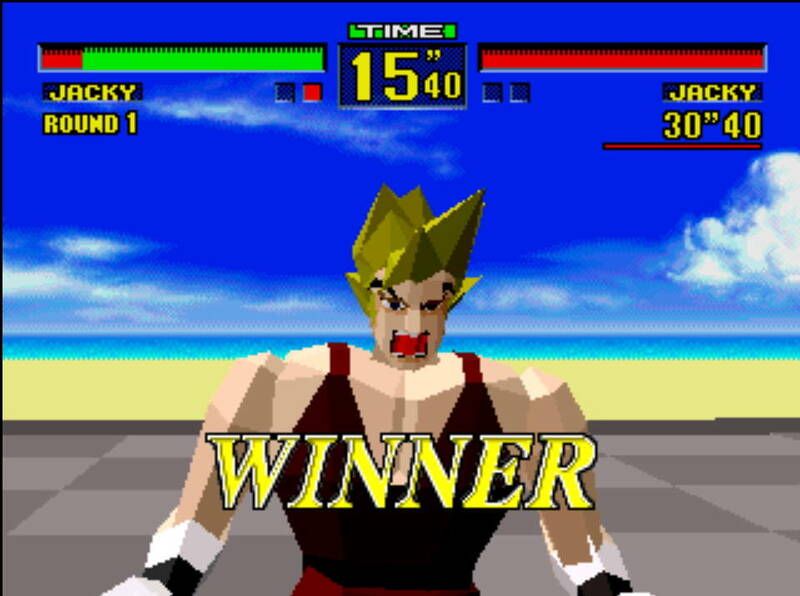 I still remember beating my relatives in Virtua Fighter with Pai Chan and Jacky Bryant. A few years down the line after the Dreamcast first launched, my birthday came around and I received a gift from my dad. It was a SEGA Saturn! Not only the console, but also a bundle of games. I owned almost every Virtua Fighter game on the console including the spin-offs. Tomb Raider is another game I would play on a daily basis and I would mess around with cheat codes. 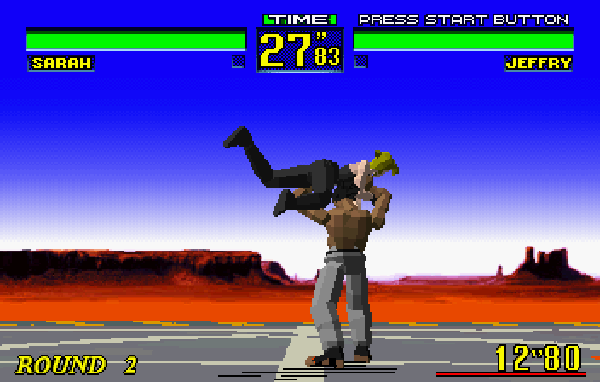 But most of all, my favorite Saturn game of all time is and always will be Fighters Megamix. Fighters Megamix was one of the greatest fighting games I have ever played in my life and I am still waiting on a HD treatment similar to NiGHTS and Dynamite Deka. Currently, my American SEGA Saturn is not functioning and is now collecting dust in my room. However after my trip to TooManyGames with the SEGAbits crew, I managed to snag me a Japanese Saturn which has more games supported in that region and made a nice bargain with Windy Gaming by purchasing tons of games and a Virtua Fight Stick. I am still playing my Saturn at home with more games and accessories then I had when I was young. One last thing is that our Sonic & SEGA Fan Jam event takes place on the same day as the Saturn’s 20th anniversary so we may include something to celebrate the consoles anniversary. Stay tuned! Back then, in this part of the planet the Saturn pretty much went unnoticed (it was PSX and N64). It wasn’t until the late 90’s when I read about it (and got interested in the machine) and it wasn’t until sometime in the early 00’s when I got to experience some its games thanks to emulation. Time went by and about 5 years ago I picked up a real Saturn and truly appreciated the system. Just like with the PCE, on the JP side of things, there are plenty of great games, but in my opinion the machine’s specialty are Fighting and Shooters.